Did you know that A-1 Toyota offers daily, weekly and monthly rentals? If your vehicle will be in the shop all day, isn’t your time worth $34.95 for 24 hours? Rent a Toyota instead of sitting and waiting for your vehicle. 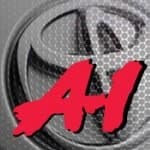 There are lots of great reasons to use A-1 Toyota’s Rental Service! Here at A-1 Toyota, we understand that your time is precious. To be without a vehicle for any significant amount of time can be a huge inconvenience. For this reason, should the servicing of your car exceed $250.00, a loaner vehicle will be provided to you free of charge for 24 hours or the duration of your visit. Quality Vehicles, A Convenient Location, Competitive Rates.